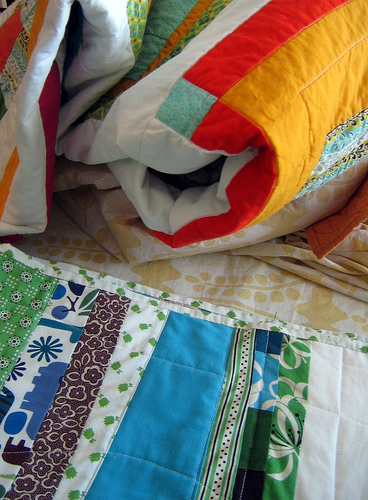 Here are some overall shots of the quilt on our bed. It’s pretty big– 40 x 50 inches, so hopefully my sister’s kiddo will be able to use it for a lot of years. 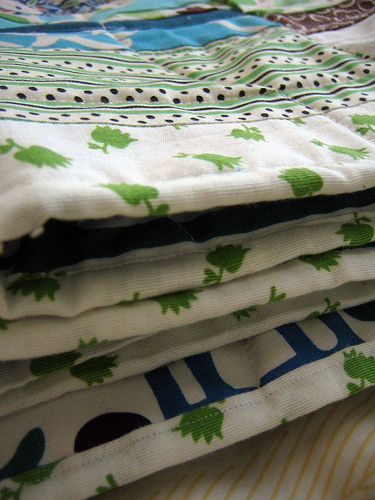 I was noticing as I bound it that it would make a nice lap quilt…. but no, I must part with it. You can see some more details on flickr. 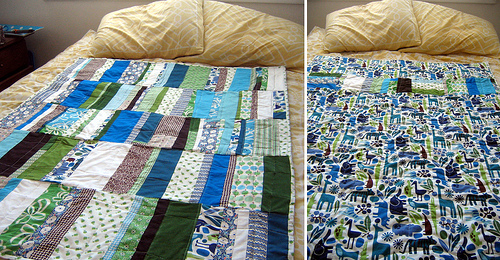 Here it is with my first quilt, which was offended that I balled it up in order to make room to shoot the new one. 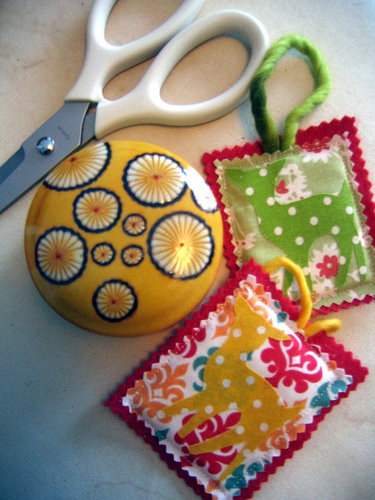 And if that’s not enough excitement for the day, check out my Holiday Swap Ornaments over at Reprodepot. Here’s a peek. I got two of mine in the mail today– they were sooo cute! I squealed “Ornament swap, ornament swap!” when Paul brought in the padded envelopes. I’ll share them all, but I want to save the surprise in case my swap group is reading. I love my ornament! It looks adorable in my pink tinsel tree! I loooooove it! Very mod! Fabulous quilt Linda - congratulations!